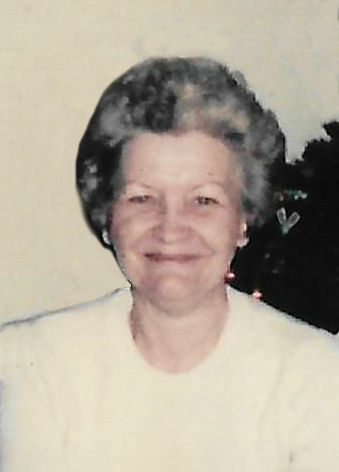 Mrs. Betty Cooper Hardison, 80, wife of the late Joe Wayne Hardison, died Monday, November 19, 2018 at her residence. Mrs. Cooper was a native of Marshall County, the daughter of the late Oliver and Lucy Cooper. She retired from the Tennessee Walking Horse Association and worked at the Marshall County High School in administration. She enjoyed working in her yard and tending to her fish pond. In addition to her parents, she was preceded in death by her husband, Joe Wayne Hardison, four brothers, Edward Cooper, Robert Cooper, Charles Cooper, and Kenneth Cooper, three sisters, Fransena Cooper Holmes, Mary Cooper Garrett, and Katherine Cooper Harris. She is survived by her son, Brian Hardison, Murfreesboro, TN; daughters, Patty Dalton, Lewisburg, TN; Joanne Hastings, Lewisburg, TN; Amy Gipson, Lewisburg, TN; two brothers, George Cooper, Fresno, CA; Carl Cooper, Chapel Hill, TN; a sister, Imagene Shea, Nashville, TN; nine grandchildren and three great grandchildren. A graveside service will be held Tuesday, November, 27, 2018 at 2:00 in Lone Oak Cemetery with Ron Kleine officiating. Pallbearers will be Cory Dalton, Ryan Dalton, Matt Gipson, Billy Gipson, Jason Hastings, and Mike Hastings.